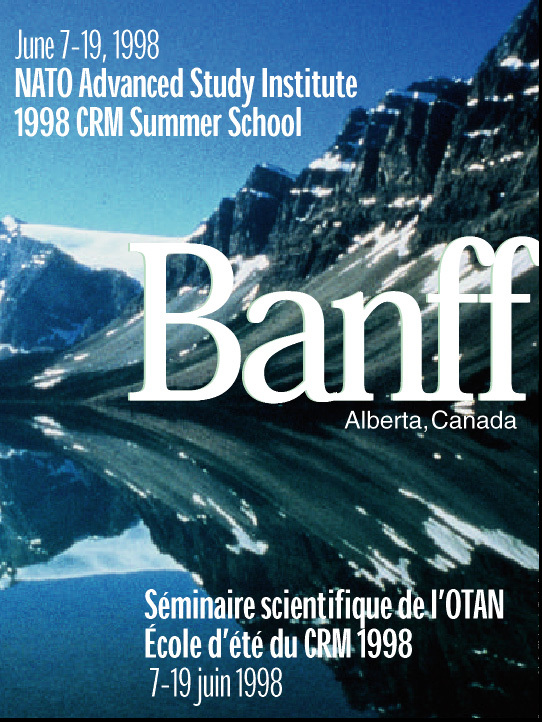 The NATO Advanced Study Institute / 1998 CRM Summer School on The Arithmetic and Geometry of Algebraic Cycles, which will be held June 7-19 in Banff, Alberta, is the kick-off activity of the CRM's 1998-99 year-long program in Number Theory and Algebraic Geometry. As a subfield of algebraic geometry, the subject of algebraic cycles has thrived through its energetic interaction with algebraic K-theory, Hodge theory, arithmetic algebraic geometry, number theory, and topology (as in Lawson homology). These interactions have led to such developments as: a description of Chow groups (cycle groups) in terms of algebraic K-theory; the application of the Mercurjev-Suslin theorem to the arithmetic Abel-Jacobi mapping, with corresponding torsion results for Chow groups; progress on the celebrated conjectures of Hodge, and of Tate, which "compute" cycle class groups respectively in terms of Hodge theory or as the invariants of a Galois group action on étale cohomology; and the conjectures of Bloch and Beilinson, which "explain" the zero or pole of a variety's L-function, as well as to interpret the leading non-zero coefficient of its Taylor expansion at a critical point, in terms of arithmetic and geometric invariants of the variety and its cycle class groups. The immense recent progress in algebraic cycles, based on so many interactions with so many other areas of mathematics (not unlike algebraic geometry itself), has contributed to a considerable degree of inaccessibility, especially for graduate students and non-specialists. Even specialists in one approach to algebraic cycles may not understand other approaches well. This Advanced Study Institute will offer a full and in-depth account of the "Arithmetic and Geometry of Algebraic Cycles," ranging from introductory courses on the subject by the leading experts to discussions of the latest developments in the fields. Several points of view will be considered, including arithmetic methods, transcendental methods, topological methods, and motives and K-theoretic methods. Our goal is to have leading experts present their expertise, aiming their lectures towards graduate students and recent Ph.D.'s interested in algebraic cycles, as well as to researchers who work on the arithmetic and geometry of algebraic cycles from other directions.